Histories of innovation are prototypical success stories. The advent of the wheel, of writing, printing, the steam engine or computers: where would we be without these path-breaking technological innovations and their global consequences? At least retrospectively, innovations appear as linear, straightforward processes. However, this view is too simplistic. Innovations are not self-evident new elements of life but meet social and technological resistance. In accounts of past innovations, we also often forget that their price is always an irremediable loss of knowledge and practical skills. This collection of essays shows that innovations, both ancient and more recent ones, are located in a network of pre-existing life-worlds. The authors elucidate the wide and often unrecognized impacts of innovations on social structures and cultural practices. 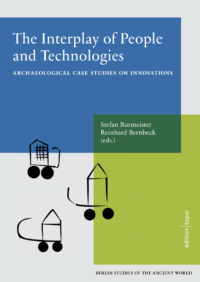 Case studies from ancient Mesopotamia, Egypt, central Europe and the modern world highlight the preconditions and oft-ignored secondary effects of innovation. They address the complex social negotiations and the multitude of unforeseen and unplanned changes which accompany the New, rather than focusing on intended changes, which are usually understood as improvements and ways to broaden possibilities for action. Our ultimate goal is to investigate the complex entanglements of innovations in past and present worlds and deepen our understanding of mechanisms of cultural change.